I get to release another pattern today! This time it's my Cross Stitch pattern, which was inspired by (you guessed it!) all of the x's that are used to make a cross stitch 😊 The pattern is available through either my Payhip or Etsy shops. Cross Stitch is a graphic design that plays with the size of the blocks to make a striking quilt. 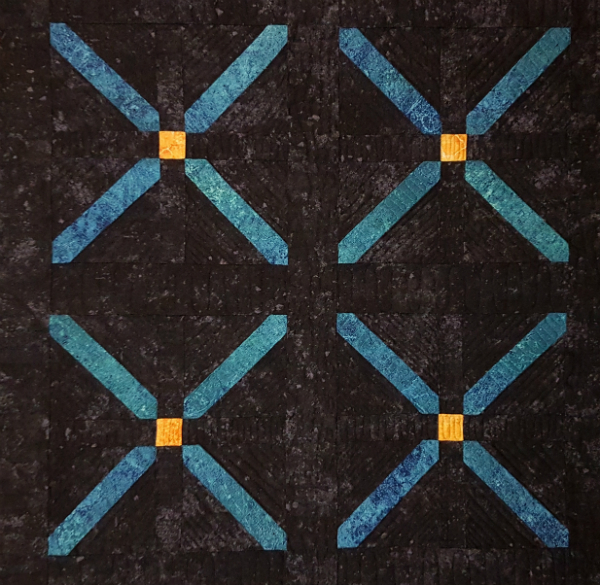 The blocks are made using the slice and insert technique and the quilt comes together quickly. At 64" x 64", it makes a nice big baby quilt, throw quilt or a great wall quilt. 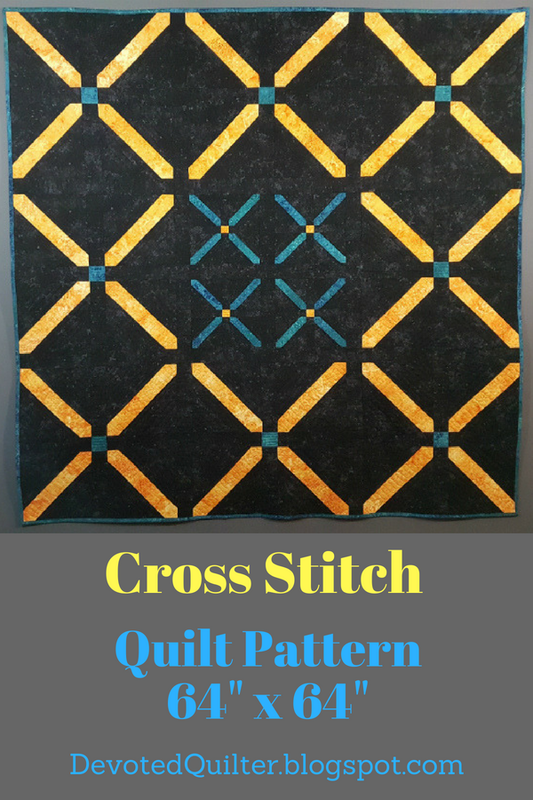 You could even make a mini quilt using only the center blocks. To celebrate the pattern's release, it is available for 25% off through Wednesday, June 20th, so be sure to get your copy today. Congratulations on releasing another pattern. This one is fun and looks great in the colours you chose. I love the dark coloured background you used, it gives a unique look to the design. I don't cross stitch anymore, it bothers my wrist, but this pattern looks like a fun way to get back to it. Thanks for linking with TGIFF! Congratulations on the new pattern. Well done.